Is your child struggling with school achievement, connecting with peers, bullying others, or being bullied? Is your adolescent having difficulty managing his or her mood or anxiety? Is your pre-teen having increasingly more behavioral problems at school or home? Not sure how to relate as a family anymore? You are not alone. Let Dr. Ryan help your child find the tools needed to live the life your child and your family deserve. Dr. William Ryan works with kids and families in creative, practical, and results-oriented ways. His approach focuses on working together with your child with a respectful and caring manner to achieve results. Dr. Ryan will work with your child or pre-teen to expand his or her social skills, manage emotions, and strengthen his or her coping skills. As a trained and experienced child and school psychologist, Dr. Ryan will work with you and your child to find a better way to interact with each other and with others. You can lead a more confident and satisfying family life. Dr. Ryan uses a variety of therapeutic strategies in his sessions with children and pre-teens to connect in a warm and empathetic manner. He will work with you and your child in generating solutions based on your individual strengths. 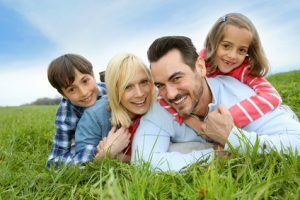 Dr. Ryan will help you utilize your own personal resources and activate your social supports to resolve your child’s difficulties and achieve real growth for your family. Dr. Ryan is committed to welcome you to a safe, positive therapeutic environment that welcomes and respects differences and fosters your desired change. Dr. Ryan offers ongoing consultations with parents, caregivers, teachers, and other providers, as deemed appropriate. Dr. Ryan is experienced in helping children and pre-teens make effective changes in their lives. Contact us to learn how we can help your family.